My kids are home for the summer, and that means I get to think of fun things to keep them busy. 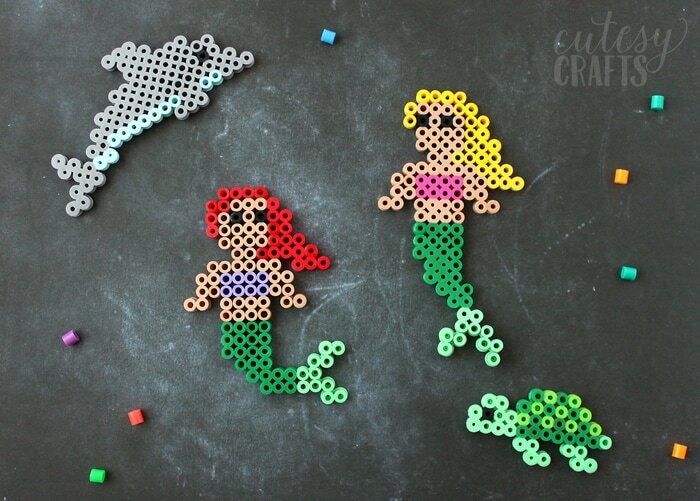 Perler beads are always a hit, so I made some easy mermaid perler bead patterns for them to try out. These ones are very simple so they can actually finish them without frustration. They loved them! 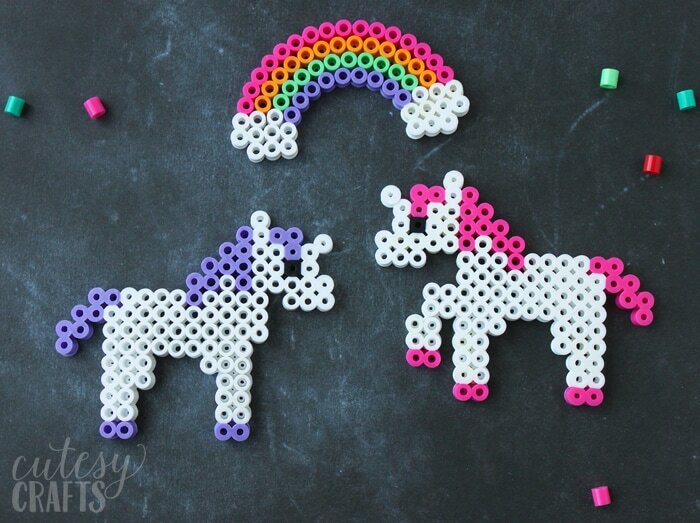 If your kids like these, make sure to also check out my unicorn perler bead patterns and these small perler bead patterns. 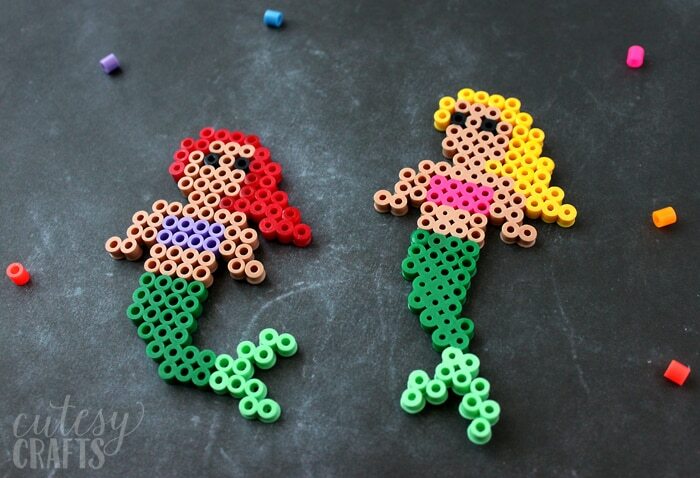 Of course, I had to make a couple friends for the mermaids. 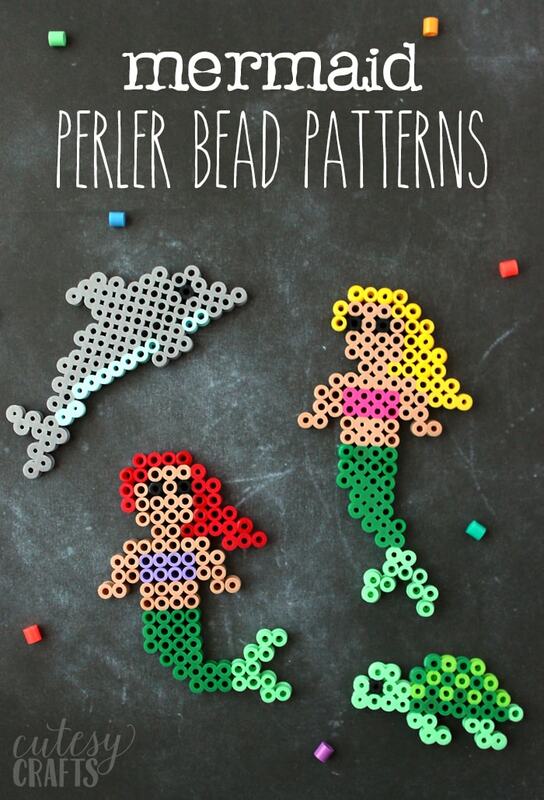 I created a dolphin perler bead pattern and a turtle perler bead pattern. Afterwards, my son suggested that I made a narwhal pattern. We have a running joke where I tell him that I don’t believe narwhals are real. I might need to get around to making another pattern for one. I’m sharing this pattern free today. 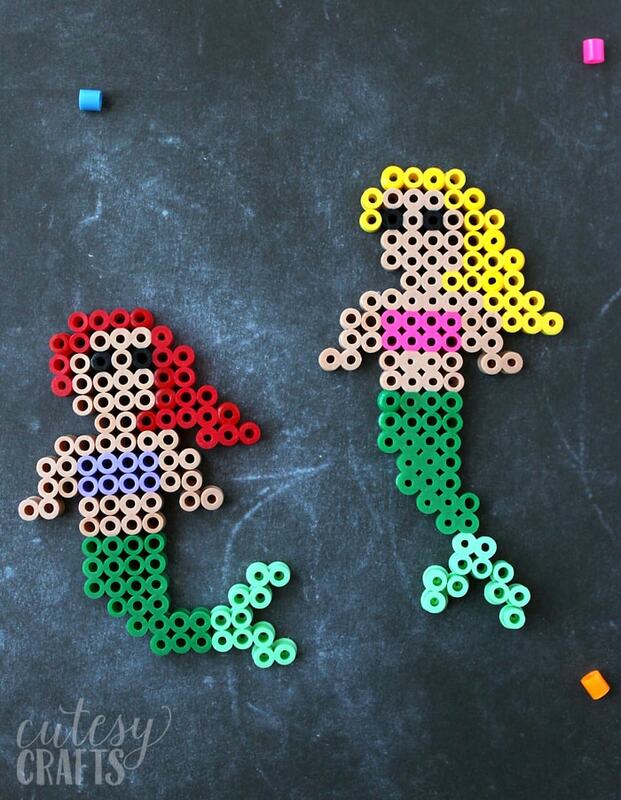 If you choose “actual size” in the print options, and use a clear pegboard, you should be able to put the pattern under the pegboard, and it will line up with the pegs. That makes it much easier to follow the pattern, especially for young children.